If you have a health condition where your health plan falls short with covering your treatment needs or you have significant out-of-pocket costs for wellness care, you may be best served by not grandfathering your health plan and accepting the Health Care Reform provisions. In my case, I’m better served with a grandfathered plan because I have an HSA (prior blog post link) plan that already provides 100% paid wellness care. 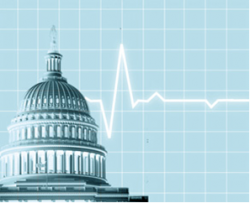 Grandfathered health plans can remain exempt of most Health Care Reform Provisions until January 1, 2014 as only limited changes occur. Allowable changes include annual premium adjustments, changes of provider networks or adding/removing dependents to an existing policy. Non-allowable changes for grandfathered plans include any increases in cost sharing for the insured such as increased deductibles, coinsurance or copays. Please consider this only a brief overview of this element of Health Care Reform as there is a significant amount of additional detail involving the grandfathering issue. A good resource for more information is www.healthcare.gov. However, rather than trying to figure it all out for yourself, I strongly recommend you consult a health insurance professional to help you decide what’s best for you. As always, we here at Affordable Health Solutions are eager to assist you. Email us today.